Onder onze partners bevinden zich ngo's, openbare instellingen en SRM-serviceaanbieders die volledig geïntegreerd zijn in onze oplossing. Interested in becoming a training partner? Coupa Software is the leading provider of BSM solutions. We offer a comprehensive, cloud-based BSM platform that has connected hundreds of organizations with more than four million suppliers globally. Our platform provides greater visibility into and control over how companies spend money. Using our platform, business are able to achieve real, measurable value and savings that drive their profitability. RapidRatings is transforming the way the world’s leading companies manage enterprise and financial risk. RapidRatings provides the most sophisticated analysis of the financial health of public and private companies in the world. The company’s analytics system provides predictive insights into third-party partners, suppliers, vendors, customers and securities issuers. Every business conversation becomes more productive, transparent and efficient with the RapidRatings Financial Health System™. Verité is a global, independent, non-profit organization that conducts research, advocacy, consulting, trainings, and assessments with a vision that people worldwide work under safe, fair, and legal conditions. Since 1995, Verité has partnered with hundreds of multinational brands, suppliers, and international institutions in more than 70 countries across multiple sectors to improve working conditions and social performance within global supply chains. Through independent regional offices, Verité China and Verité Southeast Asia, and long-term network partners, Verité gathers information globally about labor practices and make this analysis available to brands, suppliers, and investors; as well as governments, NGOs, and trade unions. Through the EcoVadis partnership, Verite brings training and consulting services to local and multinational companies in greater China, helping to optimize EcoVadis questionnaire responses and ultimately improve social/labor, ethics, and environmental performance. Impactt is an award-winning ethical trade consultancy delivering innovative, change-focused solutions in industries worldwide. Founded in 1997, Impact combine ethical and commercial expertise with a full understanding of supply chains to help businesses, organisations and funders address pressing social issues, from modern slavery to empowering women. Through the EcoVadis partnership, Impactt brings training and support services to India. We help Indian business complete their EcoVadis questionnaire and improve their sustainability performance and practices. Founded in January 1996, BrownFlynn is a leading corporate sustainability and governance consulting firm. The Firm advises Fortune 500 and privately-held companies to drive value creation by focusing on and managing their greatest impacts by understanding their landscape, setting their direction, telling their story, and engaging their stakeholders. Through the EcoVadis partnership, BrownFlynn brings training and consulting services to North American companies to optimize their response to the EcoVadis evaluation, and to improve their sustainability performance and practices. More than 100 consultants dedicated entirely to sustainable development work within EY’s French Sustainable Performance & Transformation team, which was created in 1994. Our multidisciplinary team of consultants have experience in technical engineering, economics, finance, marketing, law and communications and have work experience in private companies, public institutions and NGOs. Our consultants provide assistance to companies and public organizations on a short- and long-term basis. More than 500 clients of all sizes and sectors – including half of SBF-120 listed companies – trust our work.EcoVadis chose EY as a partner to help EcoVadis users in completing the questionnaire and improve their score by developing and implementing a CSR policy. Tradeshift is a supplier collaboration platform that connects buyers, suppliers, and all their processes in one place. We simplify business relationships with solutions for AP automation, procurement, supplier management and working capital. JAGGAER offers full digital transformation across the entire procurement spectrum from source to pay, and for all types of spend in all industry sectors, with modular solutions on a unified digital platform that integrates easily with your ERP and accounting systems. 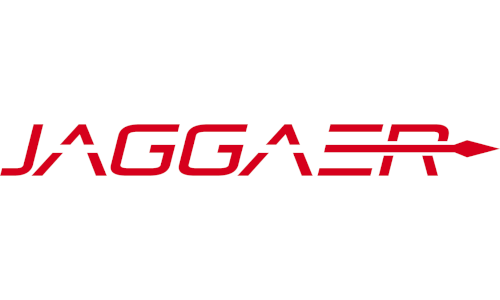 JAGGAER ONE. 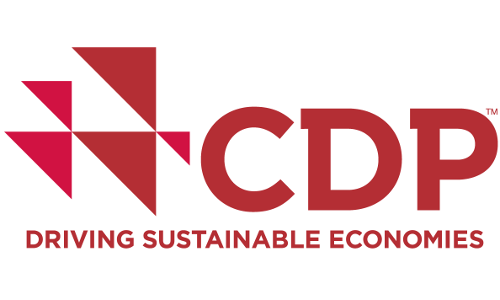 CDP is an international, not-for-profit organization providing the only global system for companies and cities to measure, disclose, manage and share vital environmental information. We work with market forces to motivate companies to disclose their impacts on the environment and natural resources and take action to reduce them. CDP now holds the largest collection globally of primary climate change, water and forest-risk information and puts these insights at the heart of strategic business, investment and policy decisions. SynerTrade, the European Leading Provider of Purchasing Software and Consulting, provides solutions and expertise that fully empower purchasing.With 235 Customers, SynerTrade has in-depth knowledge of purchasing issues in numerous industries. 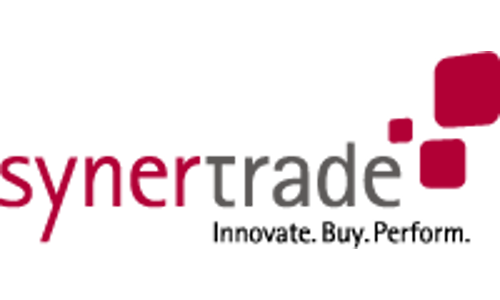 SynerTrade has a broad international presence with a 115-person team based in France, Germany, Romania, the United States, Brazil, Sweden, Denmark and China. riskmethods provides companies with a comprehensive supply chain risk management solution for proactive monitoring and assessment of risks in the supply chain. An early warning system for potential risk ensures that proactive steps can be taken to avoid supply interruption, enforce compliance and protect the corporate image. The SaaS solution “Supply Risk Network”, which was developed in Germany, combines state-of-the-art technology with cutting-edge provision of risk intelligence, to establish a leading standard in supply chain risk management. Since 2000, Ivalua has succeeded in making Buyer a benchmark solution in the Spend Management market. With average annual revenue growth of over 100%, Ivalua has been able to garner the trust and loyalty of numerous European key account customers who are leaders on their own markets, either in industry or in the service sector. Ivalua’s solutions are both very simple to use and easy to adapt to each business. This means they can be fully administrated by a functional manager and deployed with much tighter lead times and budgets than traditional applications. The United Nations Global Compact is a United Nations initiative to encourage businesses to adopt sustainable and socially responsible policies, and to report on their implementation. The UN Global Compact is a principle-based framework for businesses, stating ten principles in the areas of human rights, labour, the environment and anti-corruption. EcoVadis has been a signatory to the United Nations Global Compact since 2008, and we continue to align our operations and strategies with its ten principles. BSR is a global nonprofit organization that works with its network of more than 250 member companies to build a just and sustainable world. From its offices in Asia, Europe, and North America, BSR develops sustainable business strategies and solutions through consulting, research, and cross-sector collaboration. The Global Reporting Initiative is a standard CSR reporting format, used by more than 1000 companies in the world. GRI was created in 1997 to help companies report on the environmental, social and economic impacts of their activity. EcoVadis is a GRI “Organisational Stakeholder” and use GRI indicators as a core element of its methodology. The Sustainable Purchasing Leadership Council is a leadership community made up of and funded by member organizations of all sizes and types, including businesses, governments, higher education institutions and non-profits, whose mission is to support and recognize purchasing leadership that accelerates the transition to a prosperous and sustainable future. Wij hebben kantoren in Frankrijk, Verenigde Staten, Duitsland, VerenigdKoninkrijk, Mauritius, Hong kong, Japan n Tunesië.